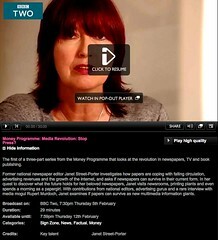 I’m not much of a fan of Janet Street-Porter, neither am I a regular viewer of the BBC Money programme but right now they are screening an interesting series of three half-hour programmes on the impact of the internet on newspapers, books and television. It’s a familiar tale of the power-and-money struggle between old media and new media that, if the first programme is anything to go by, is worth watching. Here is the blurb from the first episode in the series, billed as Media Revolution: Stop Press? Former national newspaper editor Janet Street-Porter investigates how papers are coping with falling circulation, advertising revenues and the growth of the internet, and asks if newspapers can survive in their current form. In her quest to discover what the future holds for her beloved newspapers, Janet visits newsrooms, printing plants and even spends a morning as a papergirl. With contributions from national editors, advertising gurus and a rare interview with media mogul Rupert Murdoch, Janet examines if papers can survive as new multimedia information giants. There are some interesting parallels between the changes described in this programme, and scientific media, especially the scientific journal publishing racket. The story of the current revolution in scientific and technical publishing is perhaps just as interesting (and more important) than the one being told on the money programme. Just think of it, why scientists publish, the emergence of peer review, how Robert Maxwell made his fortune from the Pergamon Press, the impact factor game, the birth of the Web (in a scientific laboratory), the growth of Google, the copyright wars, open-access publishing, social software, the rise and fall of publishing empires (and technology companies), the vanity journals, scientific blogs and wikis, software showdowns, how all this change affects producers and consumers of science and technology, both now and in the future. A juicy subject, worthy of broadcasting on any media (old or new). You would need a lot more than three half-hour programmes to cover this particular ongoing epic, so who is going to tell that story? Anyway, the series is worth a look (if you haven’t already seen it) at least according to me (others disagree see also no paper is the future). It is also available on iPlayer for up to a week after first broadcast – Thursday 5th, 12th and 19th February 2008 – for each episode in the UK only, unless you go through some kind of proxy. Every major scientific discovery came unexpectedly out of the blue. Until a few decades ago, creative researchers were free to explore. The unpredicted harvest was prodigious. Nowadays, academic research is subject to unprecedented levels of control. Consensus rules. In industry, companies focus on “core business“, and severely restrict the range of their research. Consequently, caution is encouraged everywhere, and highly original research is curtailed. As a result, there has been a dearth of major new scientific discoveries in recent years. 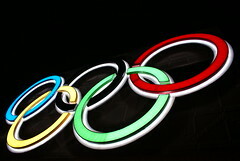 The significance of the problems and their possible solutions will be discussed. So who is Donald Braben? Don has held a senior position at the Cabinet Office in Whitehall, and a has a visiting Professorship at University College London (UCL) . 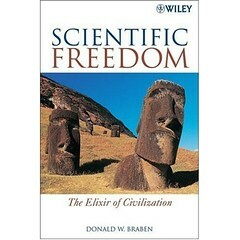 He has written two books [3,5], going against the currently prevalent views on science funding. To overcome the problem of the lack of scientific freedom, Braben proposes the creation of a twenty first century “Planck Club”, (named after some bloke called Max Planck). The Planck Club consists of an elite group of the very best scientists who are completely free to explore their ideas without submitting their project proposals to peer review (what Don calls “peer preview”). Most of the audience were sympathetic to what Don had to say, and his talk provoked an extended discussion about the best way to fund the best Science. All this reminds me of the Skunk Works projects and the infamous “20% time” given to engineers at Google – freedom in Science (and engineering) really matters, but it isn’t always so easy to decide who deserves it and why. Thanks to Don for an entertaining and thought-provoking seminar, and thanks to Paul Popelier for organising it. If this kind of stuff interests you, take a look at the references below.